BERNIE KRAUSE - Bozas International Ltd.
Bernie Krause has been recording wildlife sounds, or “soundscapes,” for nearly fifty years. He’s amassed the largest archive in the world, and in doing so, can chart how wildlife sounds have changed over the course of climate change. In that time, he has seen many environments radically altered by humans, sometimes even by practices thought to be environmentally safe. A surprising look at what we can learn through nature’s symphonies, from the grunting of a sea anemone to the sad calls of a beaver in mourning. 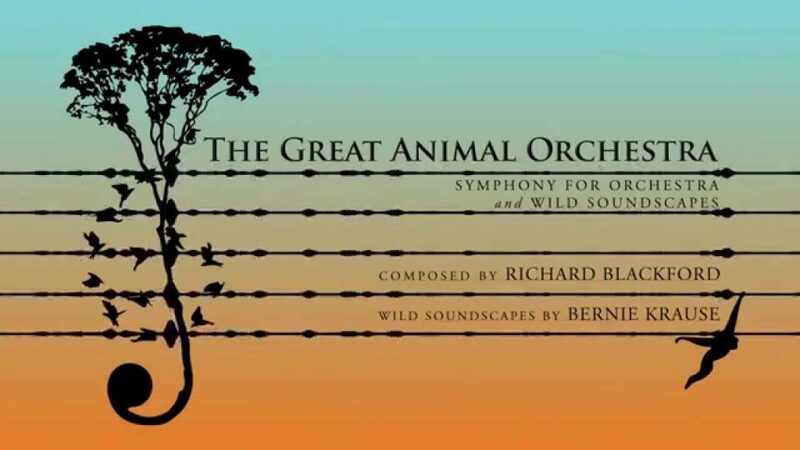 From July 2, 2016 to January 8, 2017, the Cartier Foundation for Contemporary Art presents The Great Orchestra of Animals, inspired by the work of Bernie Krause, musician and bioacoustician. The exhibition, brought together artists from around the world, inviting the public to immerse themselves in an aesthetic meditation, both sound and visual, around an increasingly threatened animal world. The exhibition has now been commissioned internationally and its global tour begins. From July 2, 2016 to January 8, 2017, the Cartier Foundation for Contemporary Art presented The Great Orchestra of Animals, inspired by the work of Bernie Krause, musician and bioacoustician. The exhibition, brought together artists from around the world, inviting the public to immerse themselves in an aesthetic meditation, both sound and visual, around an increasingly threatened animal world. The exhibition has now been commissioned internationally and its global tour begins. © 2014 Wyastone Estate Ltd.
From snapping shrimp, popping viruses, and the songs of humpback whales-whose voices, if unimpeded, could circle the earth in hours-to cracking glaciers, bubbling streams, and the roar of intense storms; from melody-singing birds to the organlike drone of wind blowing over reeds, the sounds Krause has experienced and describes are like no others. And from recording jaguars at night in the Amazon rain forest to encountering mountain gorillas in Africa’s Virunga Mountains, Krause offers an intense and intensely personal narrative of the planet’s deep and connected natural sounds and rhythm.